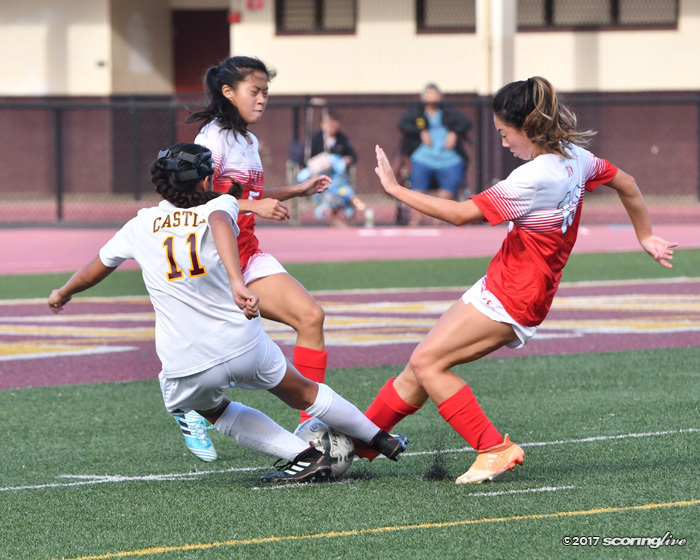 KANEOHE — Castle fought back to earn a 3-2 victory over Kalani in an Oahu Interscholastic Assocation Eastern Division matchup at Castle High School's field Saturday afternoon. 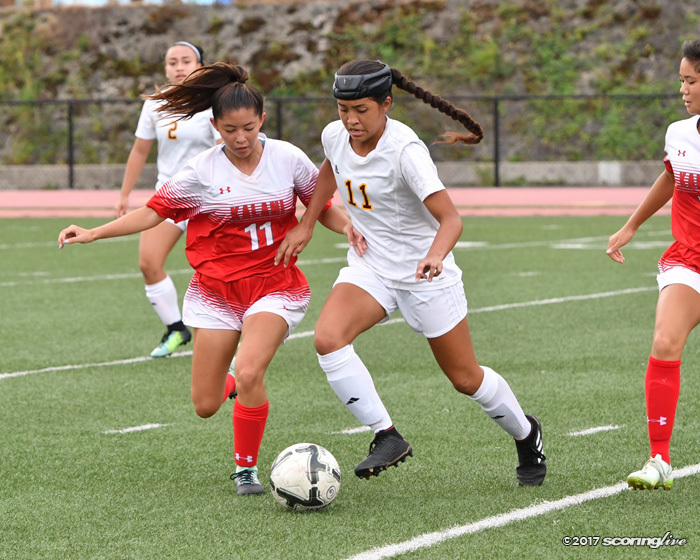 The Knights are now 2-0 in the OIA East while the Falcons fall to 1-1. 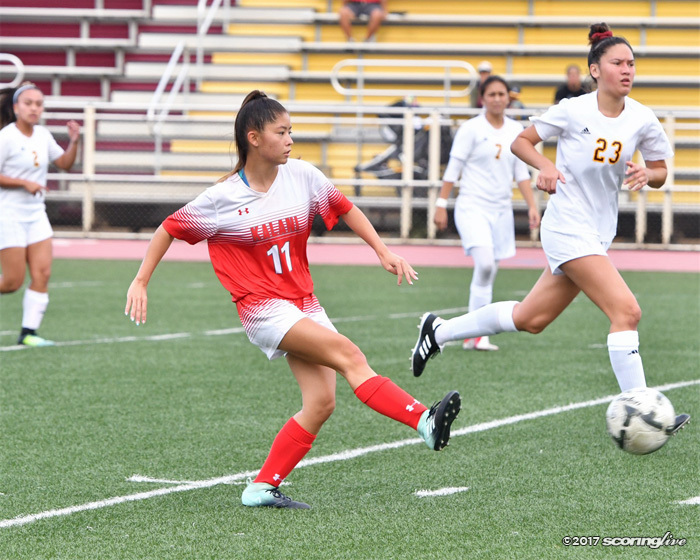 In the 17th minute, Kalani took the early lead when senior Rovi Porter scored on a deflection off of junior Shannon Lee's corner kick. 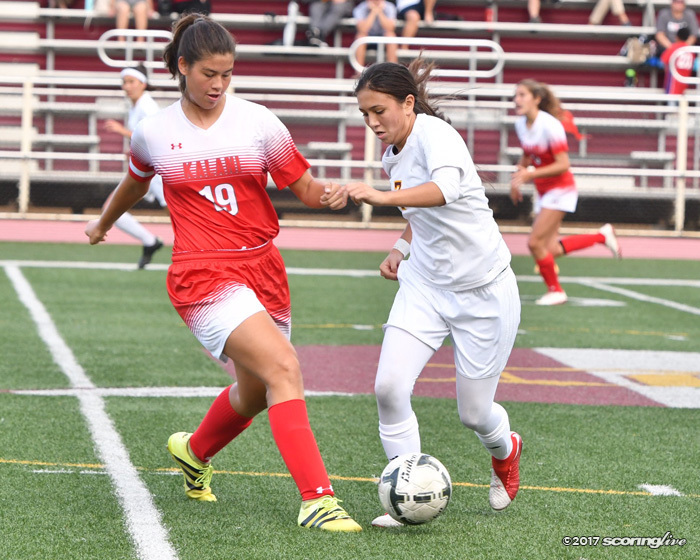 The Knights quickly responded with a goal of their own in the 20th minute. 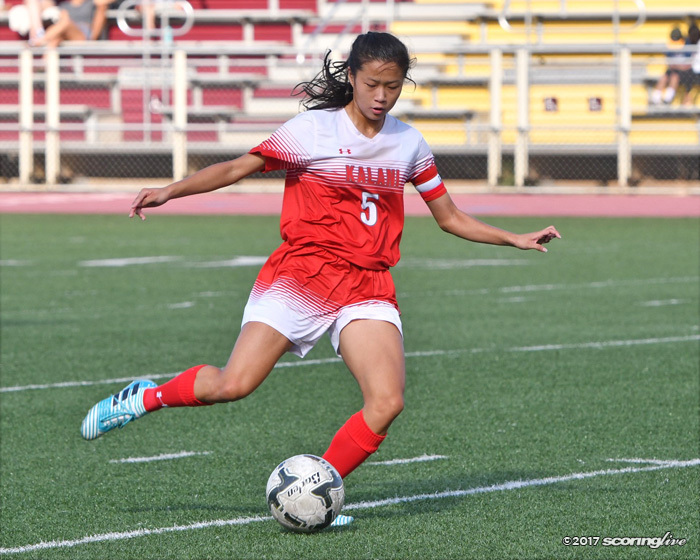 After earning a free kick just outside the 18-yard box, senior forward Danielle Chang hit a powerful shot pass the outstretched keeper to tie the game up 1-1 heading into halftime. 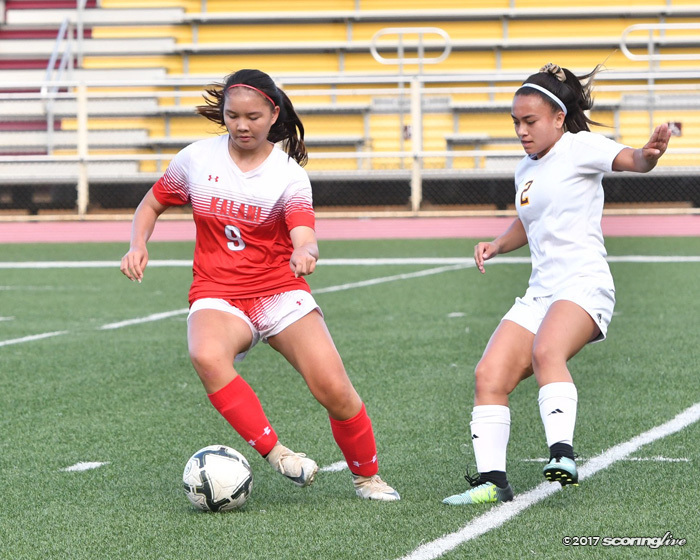 In the second half, the Falcons struck first again. 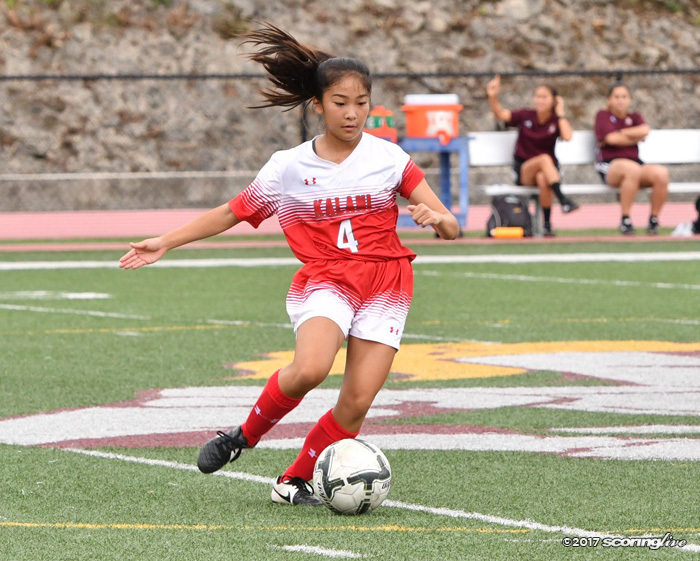 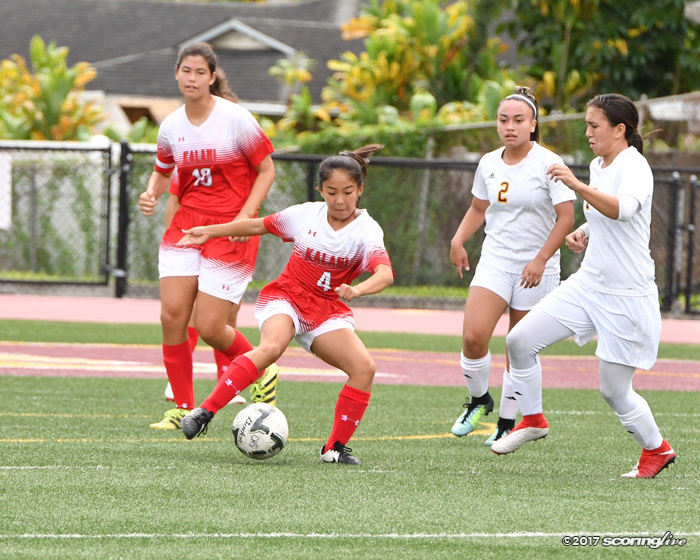 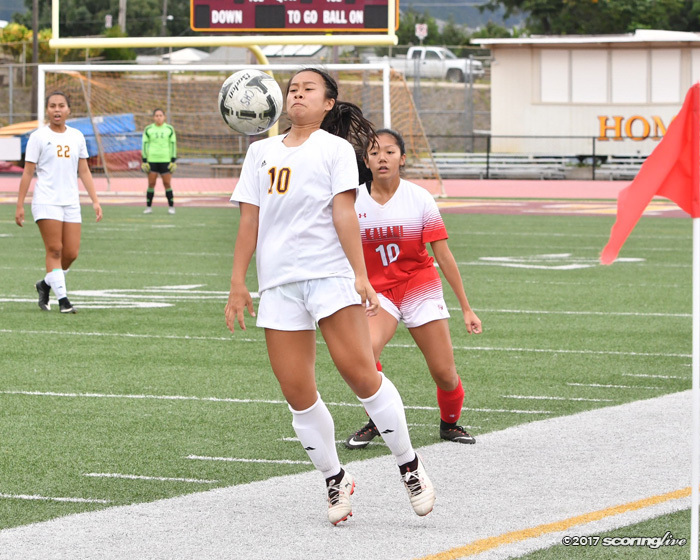 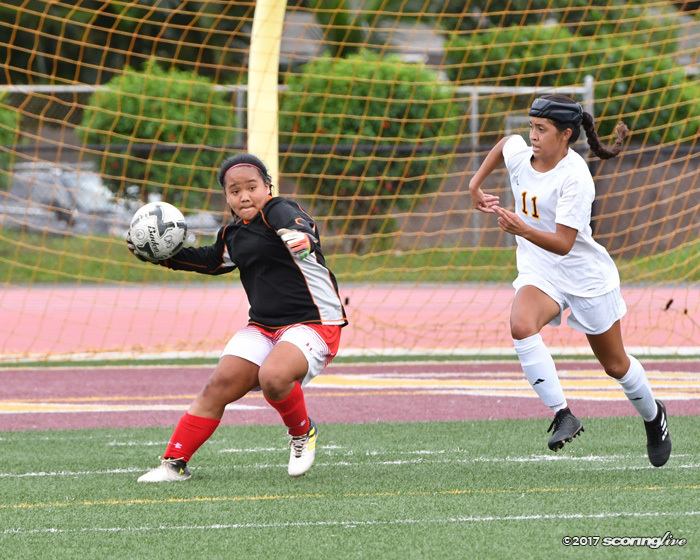 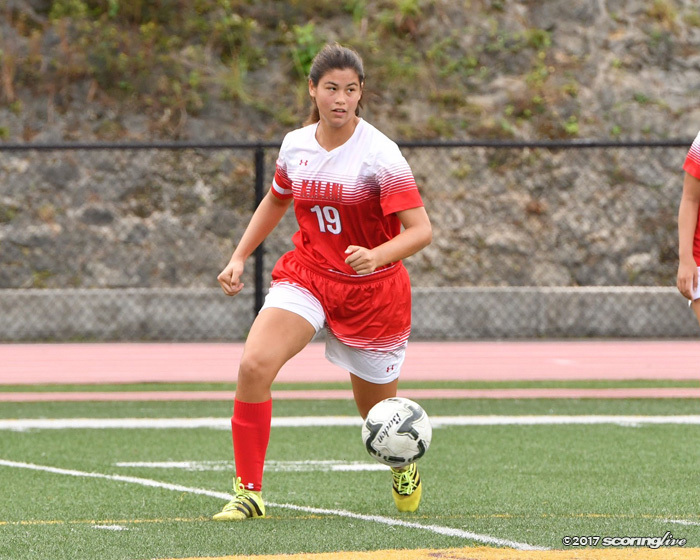 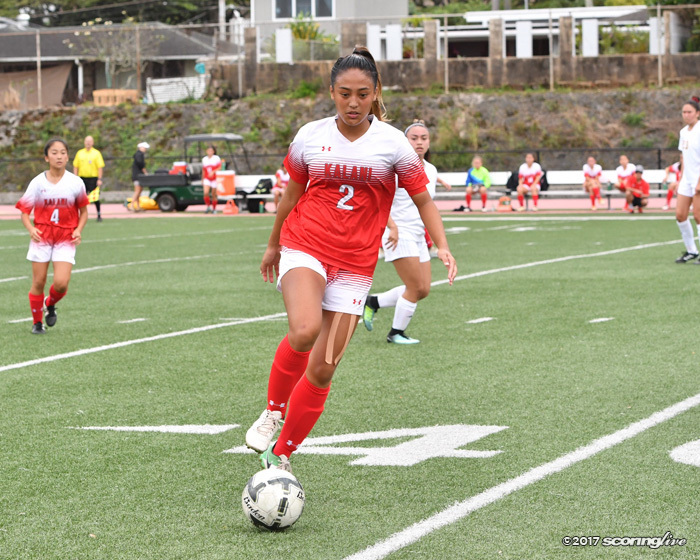 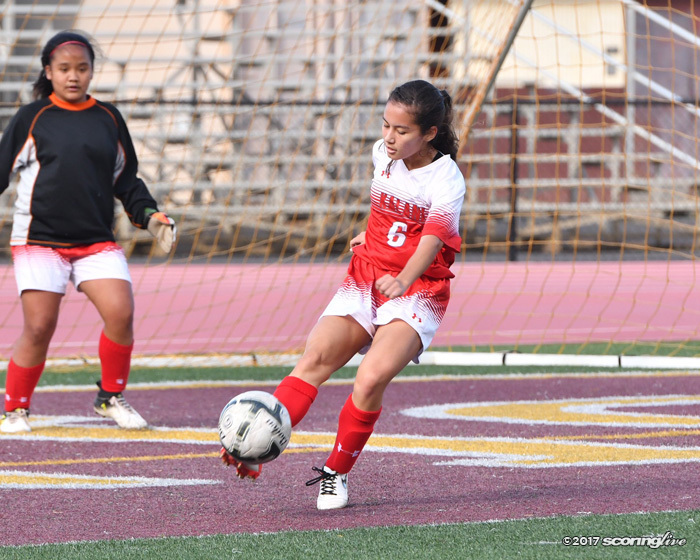 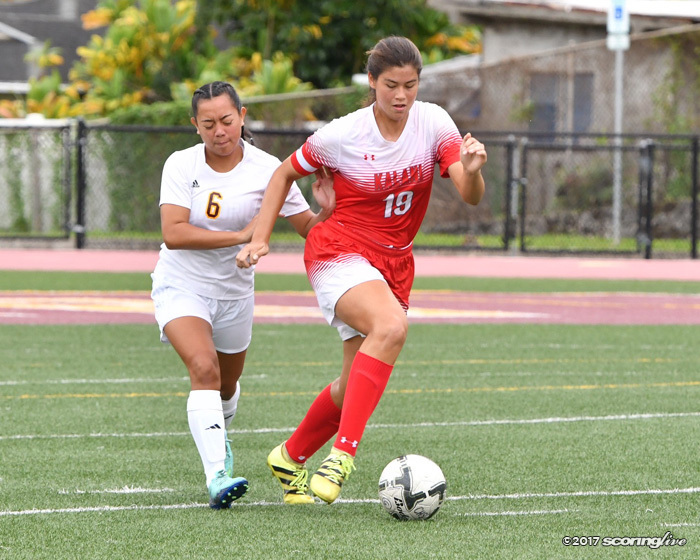 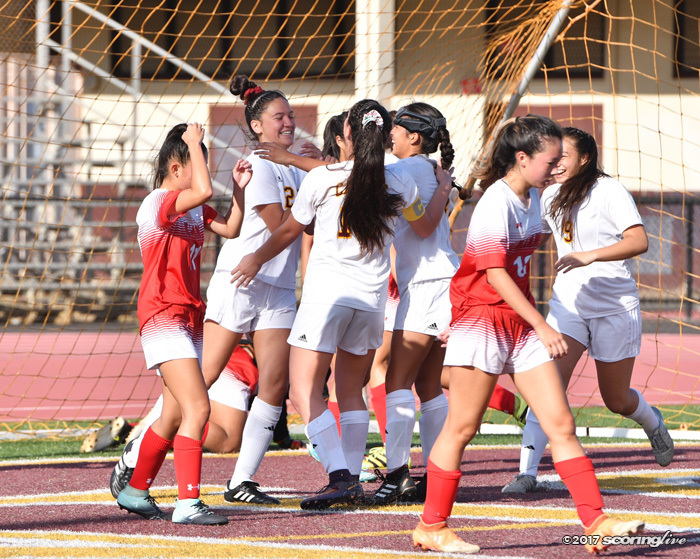 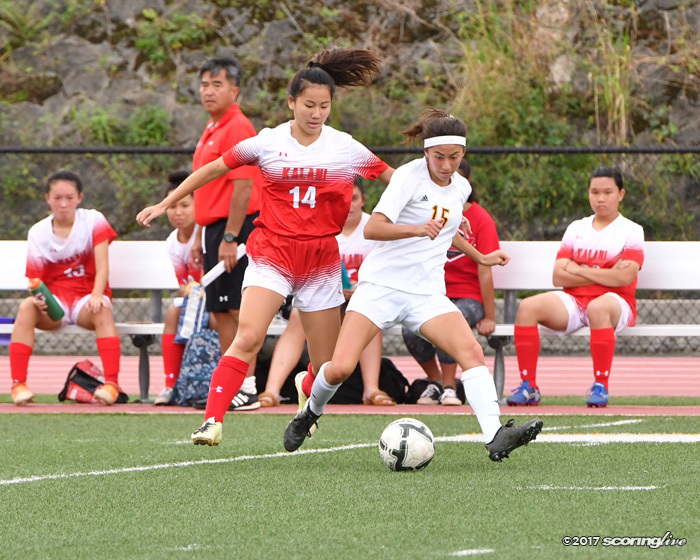 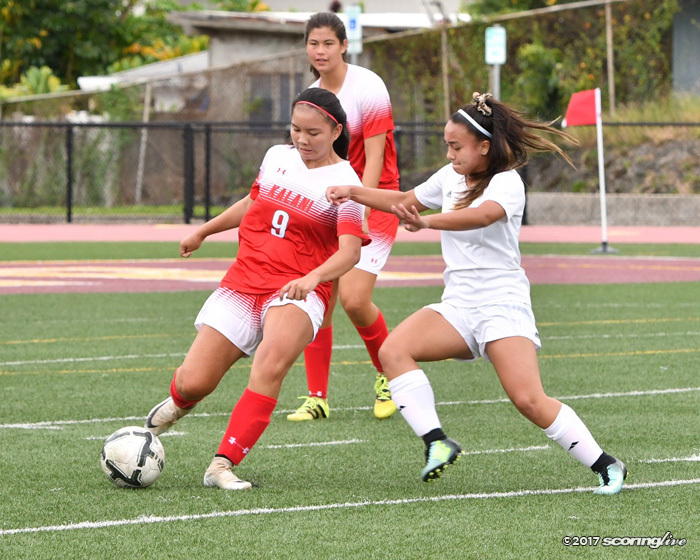 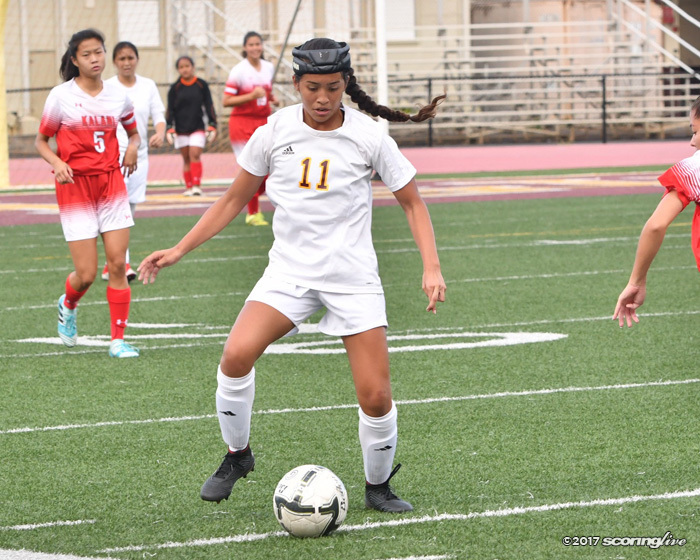 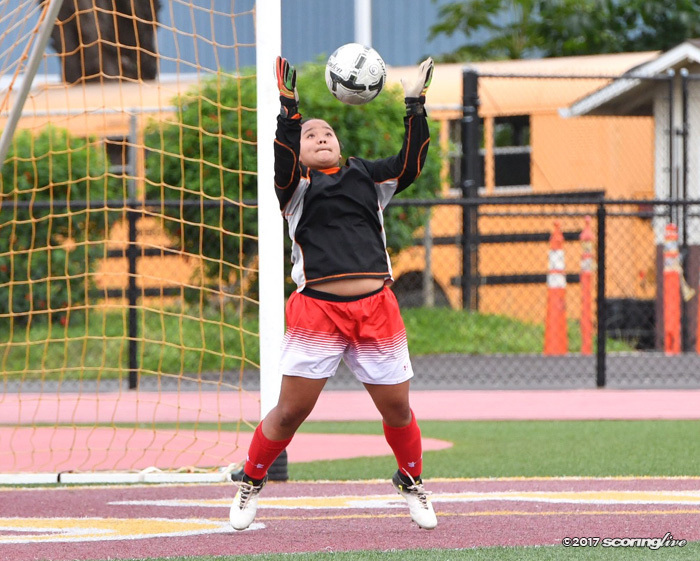 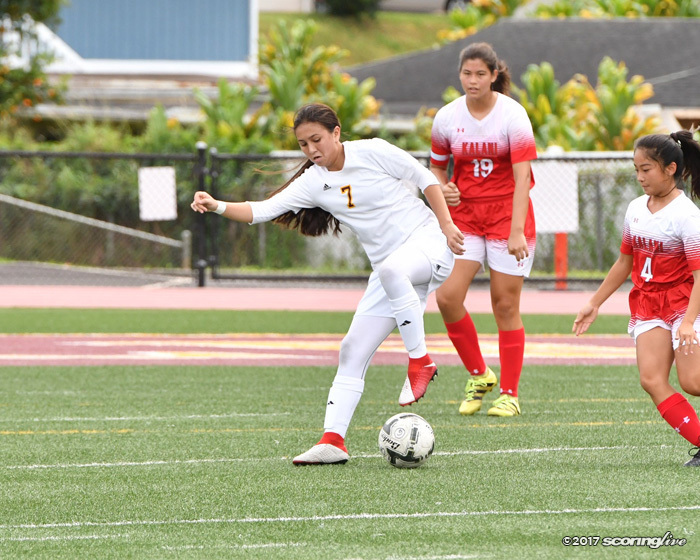 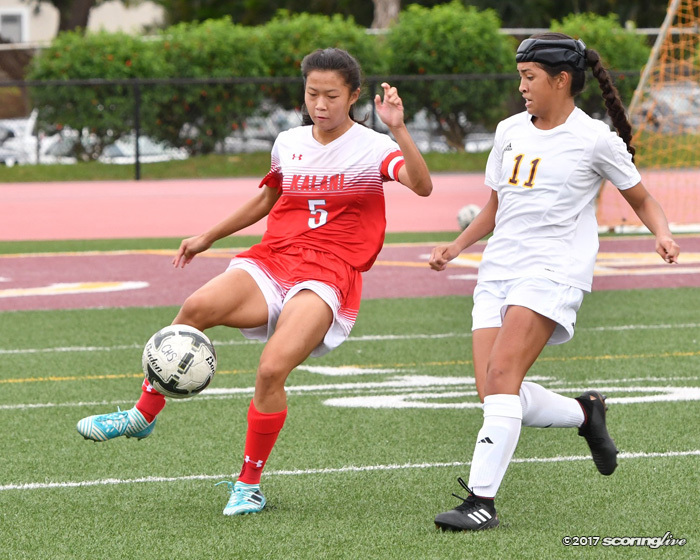 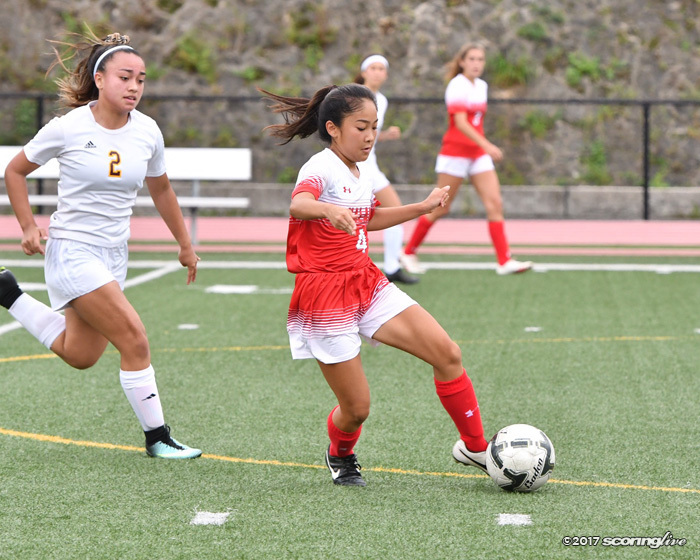 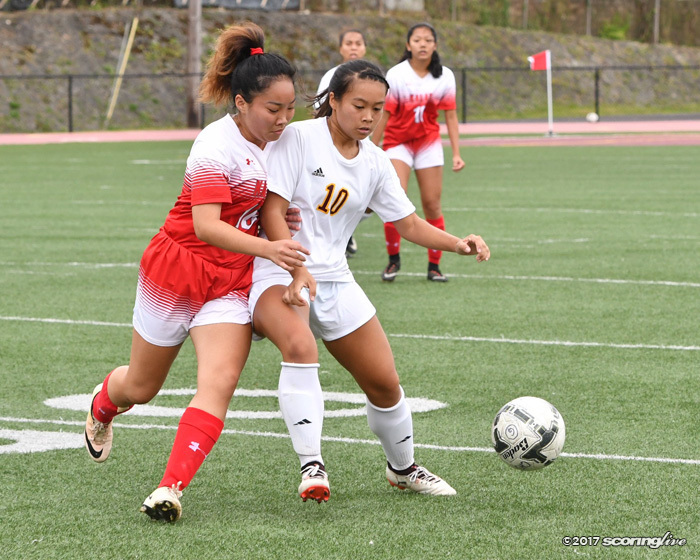 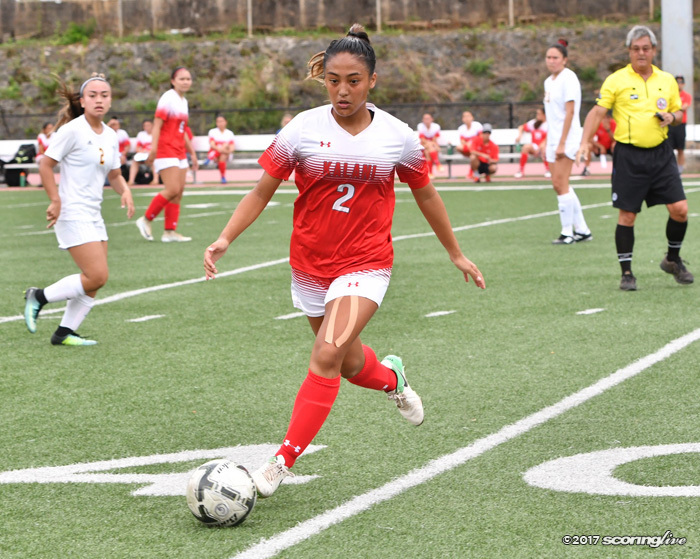 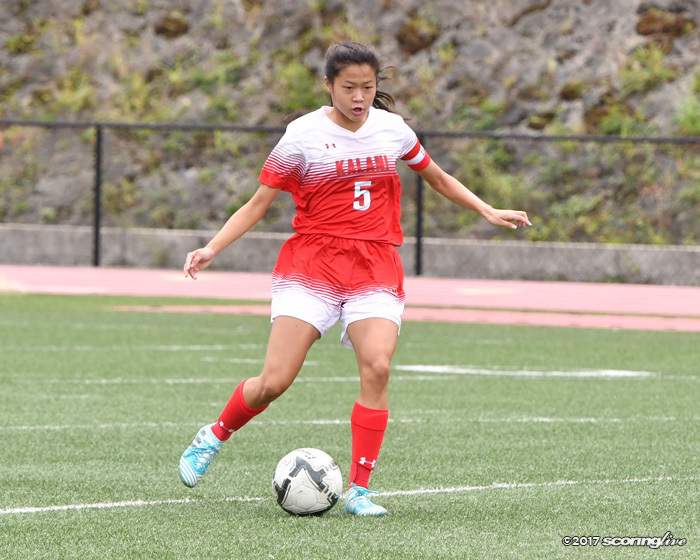 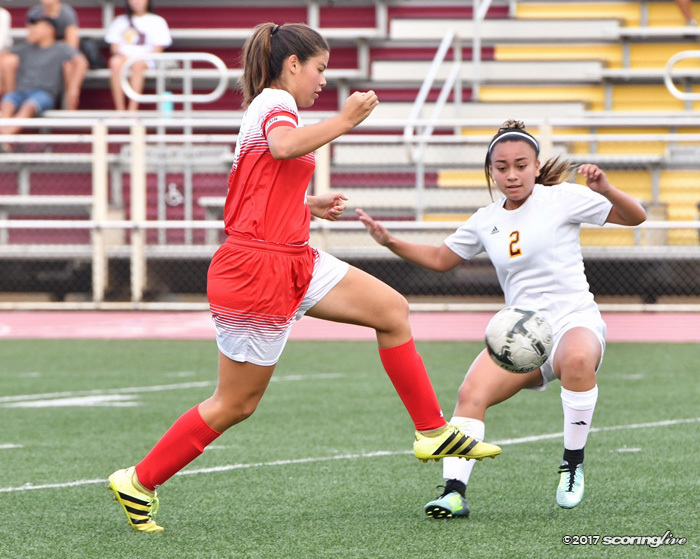 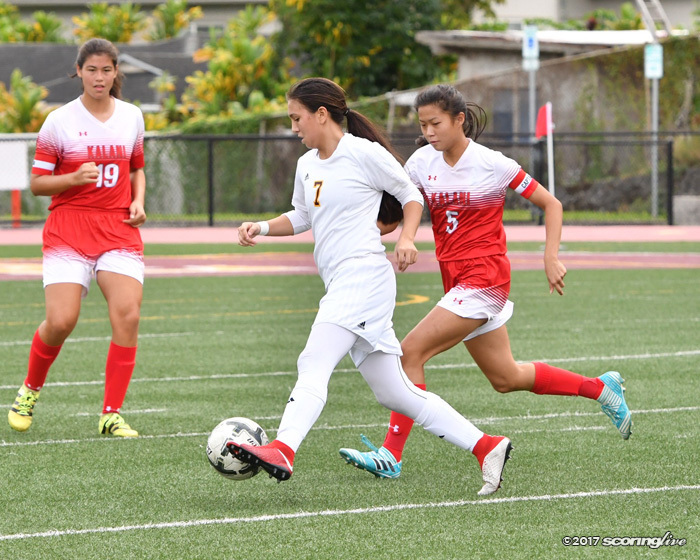 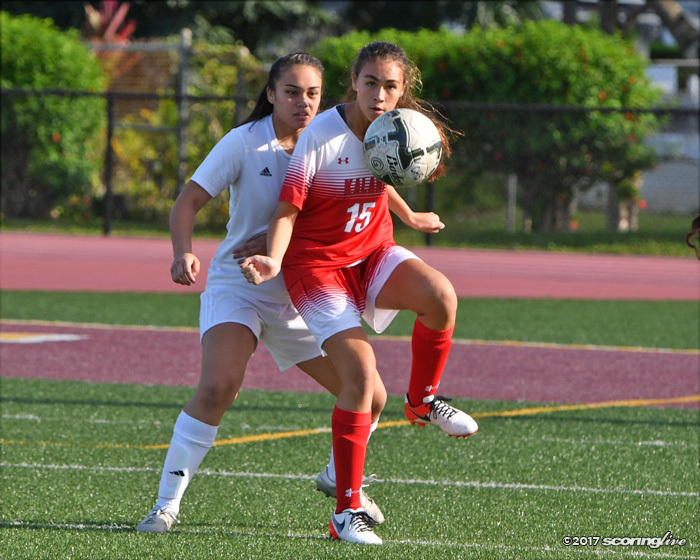 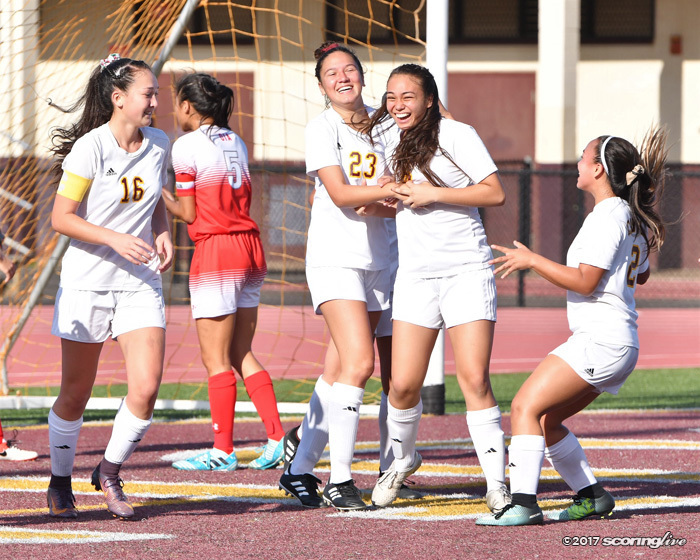 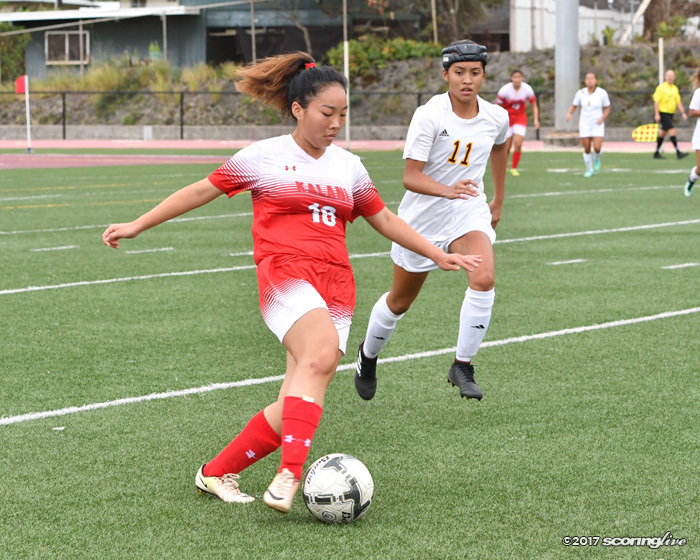 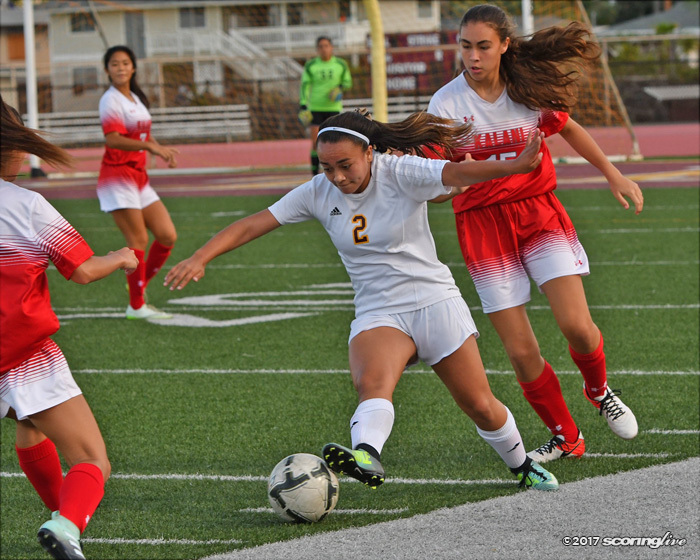 In the 49th minute, Kalani senior forward Daysha-Ann Solidum struck a hard shot that squeezed passed Castle goalie Alexis Chang-Takayama. 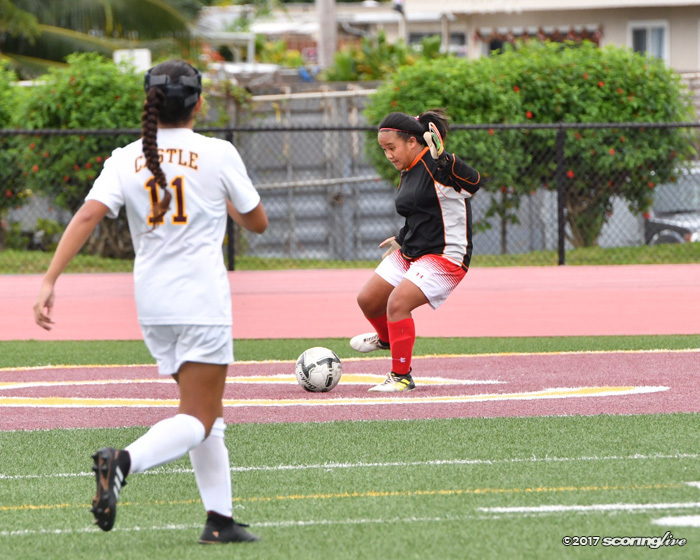 Castle started to push the tempo after that with a lot of pressure on the Falcons goal. 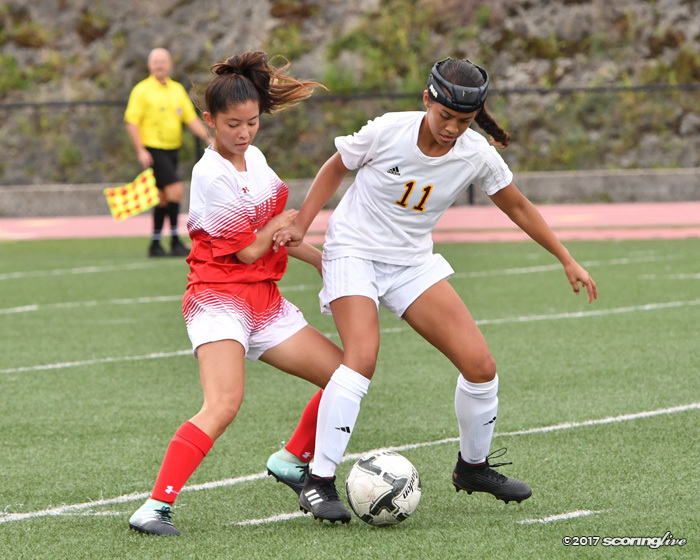 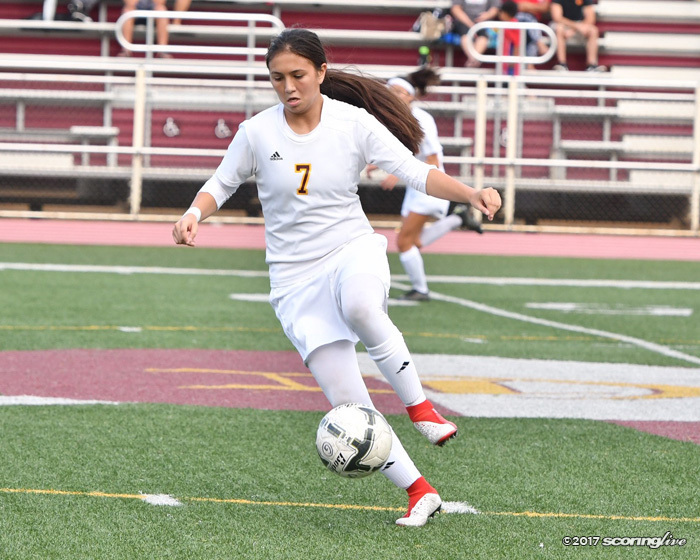 The Knights came close to tying the game when sophomore Bethanee Hanaike hit a bullet shot off the post and senior Ciana Rivera hit an effort off the crossbar. 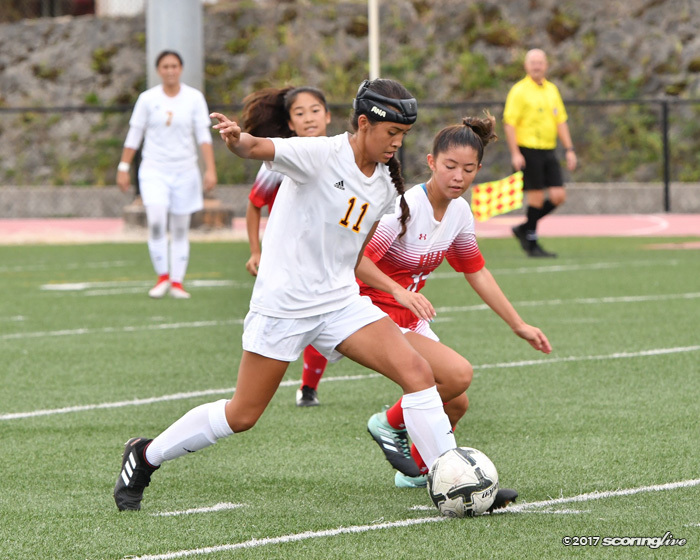 The Knights eventually found the back of the net in 68th minute to tie the game up 2-2 when senior Tehani Smith latched on to a through ball and beat the keeper one-on-one. 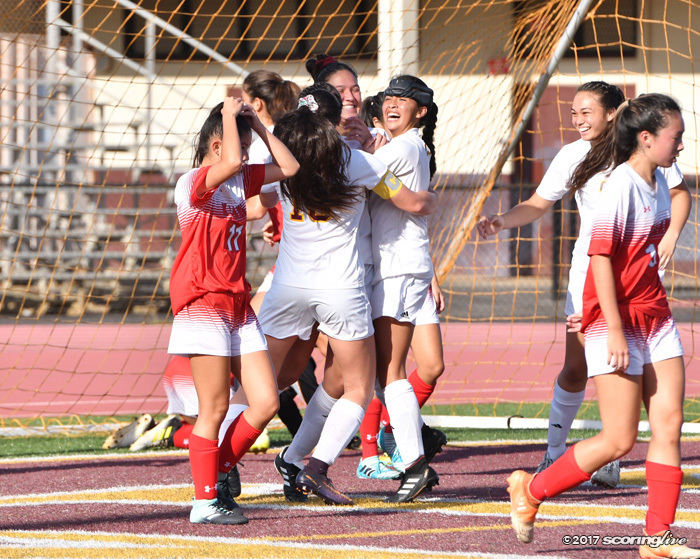 The game was put to bed when Castle scored the game-winning goal in the 77th minute. 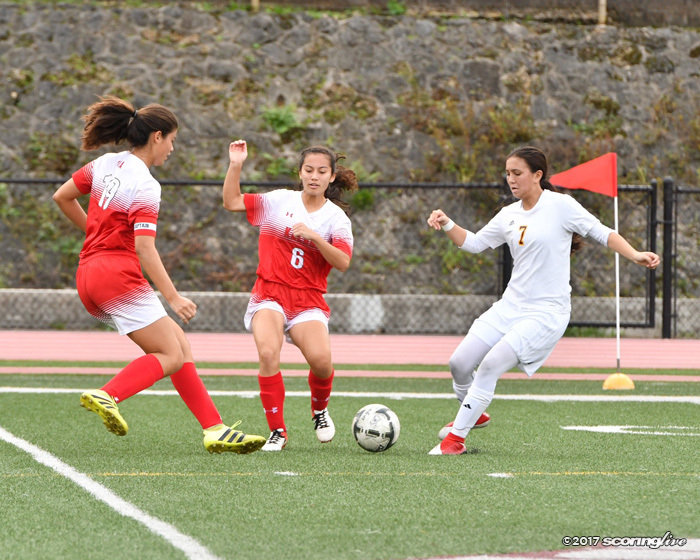 On a corner kick by Chang, Rivera had two header attempts on goal with her second effort bouncing off the crossbar. 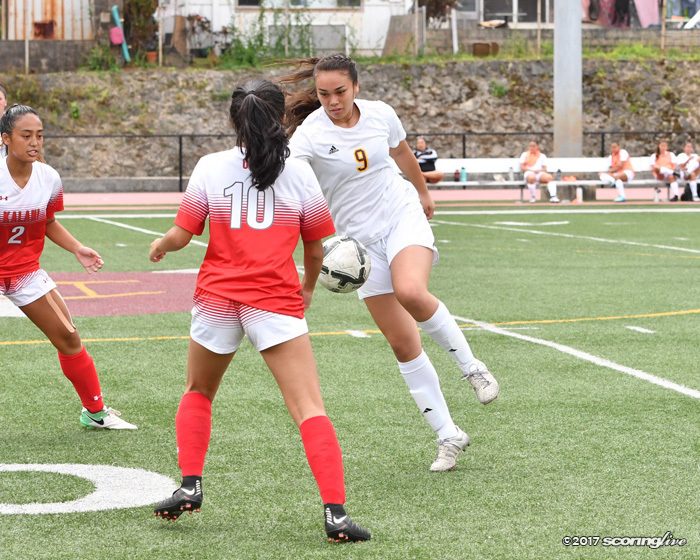 Senior Leila Schenk rose above everyone and headed in the rebound to score the game-winning goal for the Knights. 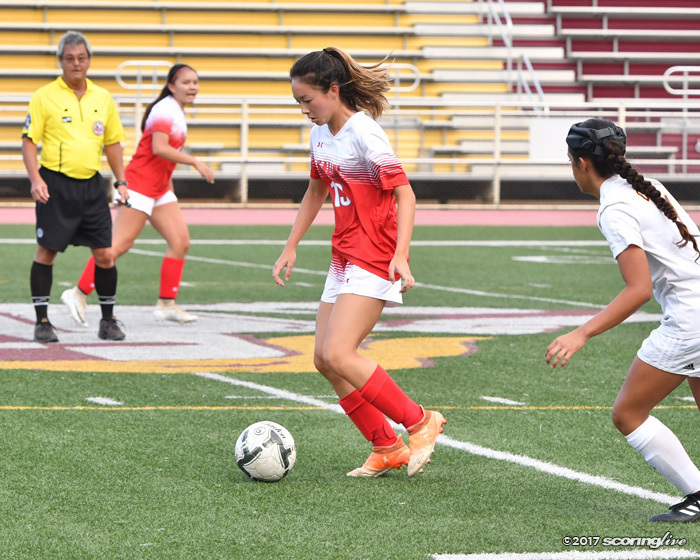 Castle's next game will be at home against Kaimuki on Wednesday, Dec. 13 while Kalani looks to bounce back against Kailua at home.